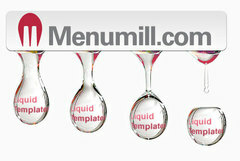 Menumill uses liquid templates to give you ultimate design flexibility. 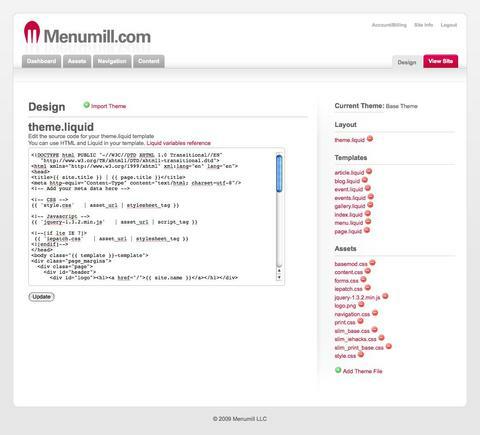 The Liquid markup language was developed by Jaded Pixel and is being used web applications such as Shopify, Mephisto and Stikipad. You have complete design control. The markup is well documented and easy to read.